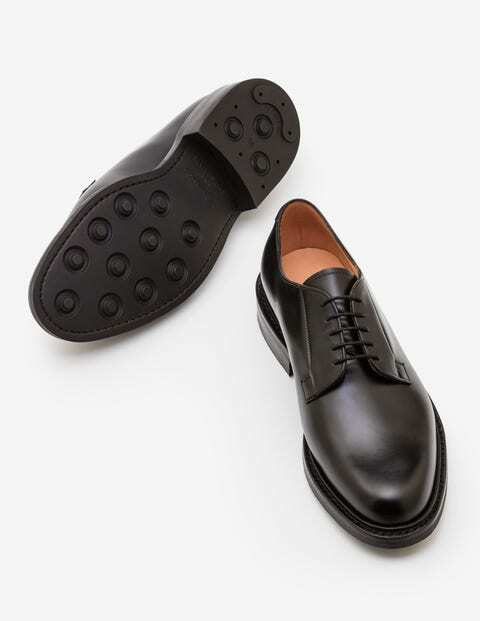 Forget fashion, fads and passing time, with their sturdy, double-weight Goodyear rubber sole and smart-yet-substantial finish, these round-toe calf-leather shoes promise a lifetime of wear. A real wardrobe workhorse, they offer reliable and discreet style for work or play, in addition to quality that speaks for itself. With each shoe finished by hand in a Northampton factory that dates back to 1886, history is most definitely on your side. Plus, as they’ll rarely be off your feet, Cheaney & Sons even replace the sole when it wears down. Thank us in 50 years.